Do you look forward to driving in your car every single time? If not, maybe that’s because you don’t have a great set of speakers. With sweet sounds, you’ll truly enjoy the passion of your favorite artists, without missing a single tone or beat, once and for all. 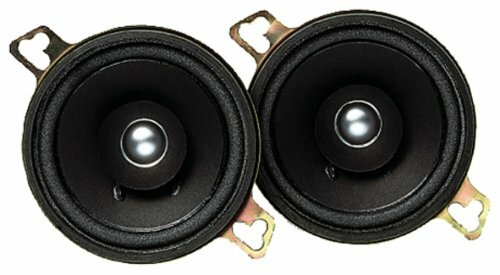 Without a doubt, upgrading your stock speakers will deliver a noticeable improvement to your sound, and it doesn’t have to break your bank account. Read on for our picks for the top 3.5″ speakers on the market in 2019. 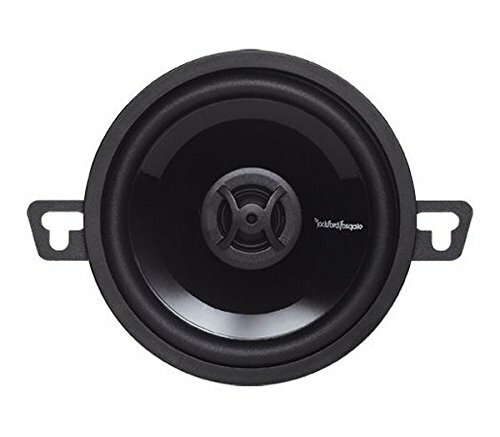 When it comes to car audio, Rockford Fosgate has a hard-won reputation for producing quality kit at pocket-friendly prices. At the lowest end of their broad spread of sizes, these nifty 3.5” speakers punch above their weight. Power handling is impressive and build quality first-rate. Installation is a breeze and these speakers even acquit themselves well on a boat. Rockford Fosgate’s P132s can handle 20 watts of RMS power giving you impressive grunt for a scaled-down speaker. Frequency response and sensitivity are such that you’ll enjoy clarity across the sound spectrum. Bass is slightly disappointing. The molded cone and tweeter are rock solid and will withstand some serious punishment. With an ICC (Integrated Concealed Crossover) design, setting up is a cinch and, with the crossover hidden away in the basket, you’ll get a slick, clean look. If you want your car audio to look great while still performing at its best, think seriously about a pair of P312s. 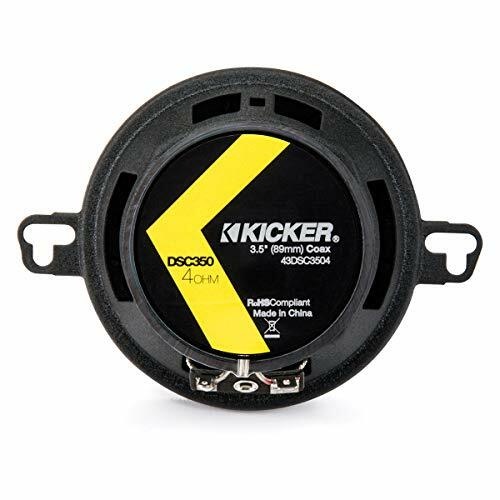 For a capable and affordable pair of 3.5” speakers from a brand you can trust, these Kicker are hard to beat. Their shallow-mount design makes them the ideal solution for vehicles with limited space inside. Power handling is potent for a little set of speakers. Build quality is first-class and these speakers should give you many years of happy service. If you want to give your car’s stock system a serious tweak without breaking the bank, this pair of 3.5-inchers from Kicker makes a solid starting point. With RMS power handling of 20 watts, these speakers are at the upper end of what you’d expect from a unit in this class. Extended voice coil technology delivers outstanding rich sound quality across the whole range. Although you won’t win any car audio comps, bass is acceptable for a compact set of speakers. Installation couldn’t be easier and the way in which the tweeters are designed to remain flush rather than protruding is a further space-saver. Kenwood is a heavyweight in the audio industry and these dual-cone 3.5-inchers will ensure you have fantastic sounds as the backdrop to a road trip. Despite a rugged build and a broad, balanced sound quality, these speakers are surprisingly affordable so give yourself a treat and rod test these Kenwood today. 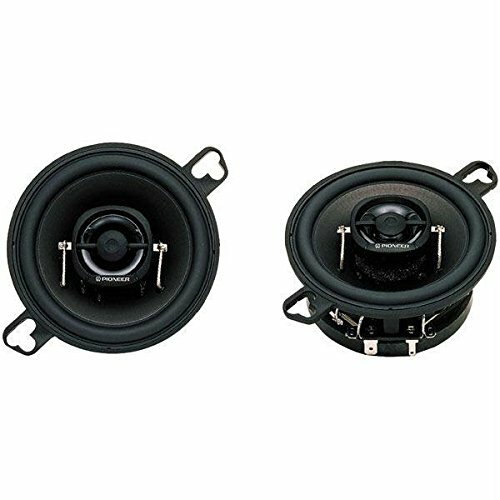 If you’re looking to add some 3.5” speakers to your ride, you need to understand that you won’t get bone-shaking bass or a sound commensurate with a full woofer-laden system. The Kenwood can handle 20 watts of RMS power, though, so you can crank the volume up without any annoying distortion. Kenwood places design uppermost without ever straying into form over function. While these understated speakers undeniably look the part, the crisp sound quality across all frequencies is their key selling point. Highly sensitive speakers, you’ll get the volume you need without drawing down too much power for the double win. Although these speakers are not the strongest when it comes to really low-end bass, if your preferred music is more in the upper frequency ranges, these mini speakers will not disappoint. For a crisp and clear sound, this pair of Pioneer excels across the frequency range. Bass is more than respectable for dinky 3.5” speakers. Carbon and graphite cones are solid and durable. Installation is super-simple. The TS-A878 are tailor-made for GMC, VW and Ford vehicles. You need to keep your expectations reasonable when you’re looking at 3.5” speakers. You should be looking to uprate the car’s stock system rather than imagining you’ll get window-shattering basslines. That said, this pair of Pioneer handle a wide range of frequencies with a sensitivity of 88 decibels. Mid-range and high-range sounds come out with wonderful clarity and, though it’s not in subwoofer league, you’ll get more than sufficient bass from these babies. Power handling is 15 watts RMS maxing out at 60 watts. The Pioneer are marketed at owners of Ford, VW and GMC rides. They will fit some other vehicles but do your due diligence to avoid disappointment.